Did you know....We offer some amazing detailing packages! Regular price is $189.00 for passenger cars and $209.00 for light trucks, vans and suv's. 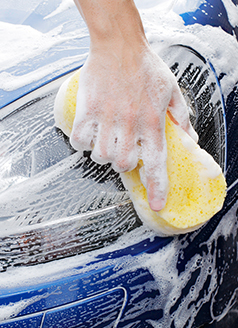 Detailing done Monday through Friday only and we require a full day drop off for this service. We also ask that the vehicle is emptied out prior to arrival including cargo and trunk areas. For vehicles with heavily soiled interiors additional charges may apply. See your Service Advisor for complete details. 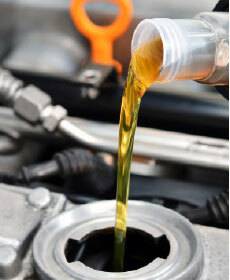 Service includes: Change engine oil, replace oil filter, perform multi-point inspection, set tire pressures, top off fluids. See service advisor for details. not valid on previous purchases, may not be combined with other offers. NOTE DEF fluid is excluded from fluid top off service. Discount does not apply to state sales tax or environmental shop fee, please present coupon at the time of arrival, not valid on previous purchases. May not be combined with other offers. Coupon good for Full Size Diesel Trucks, or ECO Diesel Vehicles, Service includes, Change engine oil, replace oil filter, set tire pressures, top off fluids, and 21 point check. Coupon not valid for prior purchases, must be presented at the time of arrival and may not be combined with other offers. The replacement of your full size diesel truck fuel filters. This coupon may be combined only with our Diesel Oil Change coupon as listed, on our web site only. Must present coupon at the time of arrival. Limit one coupon per person. Coupon does not apply to prior purchases. Valid for full size diesel trucks replacement of both external fuel filters, other restrictions may apply, see your service advisor for details. Save $25.00 on any Front or Rear Brake Job. Welcome to the Brown Motors Chrysler, Jeep, Dodge, Ram Service Department Specials page. From Springfield Ma. and Northampton Ma to Keene NH. and Brattleboro VT. We service all makes and models, with very few exceptions. 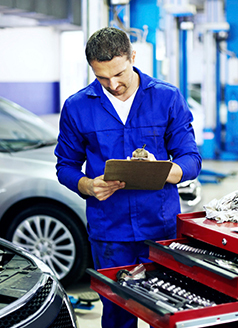 Check back often when you are looking for great deals on vehicle maintenance and repairs. We update our page on a regular basis with the changing seasons to help serve you better. You will always receive top quality service from our friendly, no pressure professional service team. Come see why people from all over western Massachusetts prefer Brown Motors of Greenfield for all of their vehicles needs!